One of my favorite food blogs which I recently discovered is Growling Tummy. 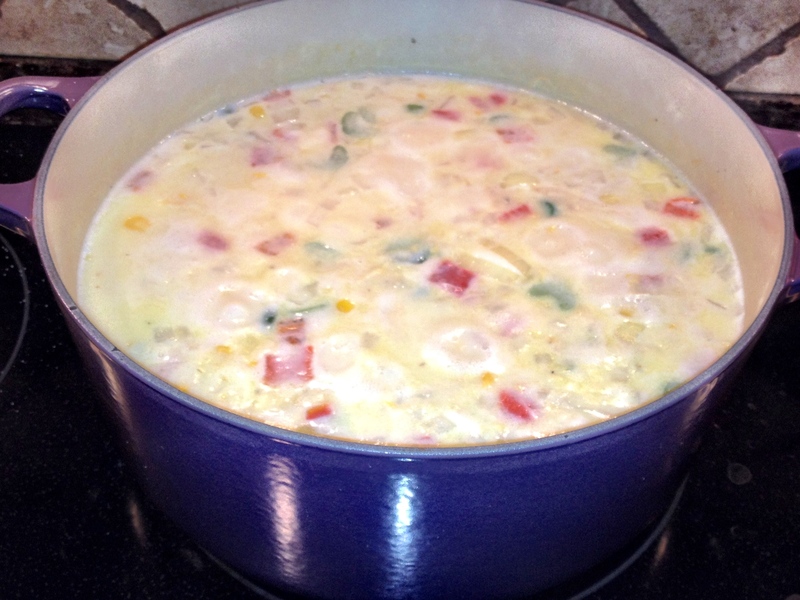 As soon as I saw this recipe for Chicken Corn Chowder, I knew it had high potential. And I was right! Four out of five family members loved it (even Mr. Picky), and the only one who didn’t finish it practically fell asleep in his soup due to a very fun sleepover birthday party at the Great Wolf Lodge…so I am not blaming the recipe! Ed said it reminded him a bit of the soup version of chicken pot pie, and I agree. The jalapeno gave it a wonderful kick, and the roasted red pepper added nice color and flavor. I used a rotisserie chicken, too, which made this soup incredibly quick and easy to prepare (albeit a bit pricier). I will definitely be making this again! Melt the butter in a large Dutch oven over medium heat. Add onion, celery, potato and jalapeño and cook for 3 minutes or until tender, stirring frequently. Add flour; cook for 1 minute, stirring constantly. Stir in milk and remaining ingredients. Bring to a boil and cook until thick (about 5 minutes). Reduce heat and serve (biscuits work great as a compliment). 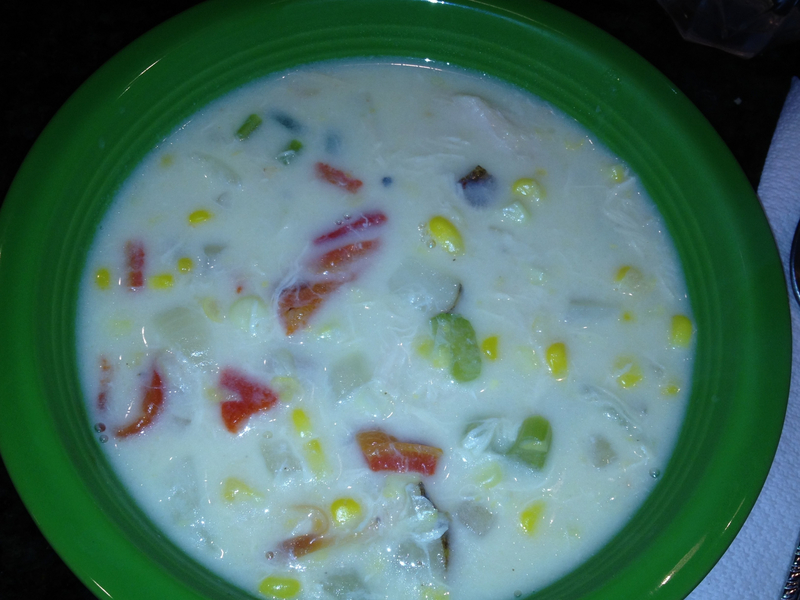 This entry was posted in Chicken, Main Dish, Side Dish and tagged chicken corn chowder, hearty soups by Mom Mom's Apron. Bookmark the permalink. I am down to just one container of southwestern turkey soup in my freezer, so I am very ready for a new soup recipe to try. This looks awesome. Jay and I think this looks very yummy. Adding to to next week’s menu. Menu planning has never been easier.